Short story, long story, a short story that seems like a long story, a long story that seems like a long story? This lasagna is so awesome what matters, is that you make it, share it, and eat it. And yeah, okay, I know I’ve been on a roll with the butternut squash lately: soup, salad, and now this lasagna. But let me just take a second to assure that you don’t have to love butternut squash to love this recipe. It's just so good, you won't even believe it! This is also the kind of real food meal that is healthy enough to make you feel okay about skipping tonight’s workout. Though you really shouldn’t. Let’s not forget that there are 24 hours or 1440 minutes or 86,400 seconds or 86,400,000 milliseconds in a day. 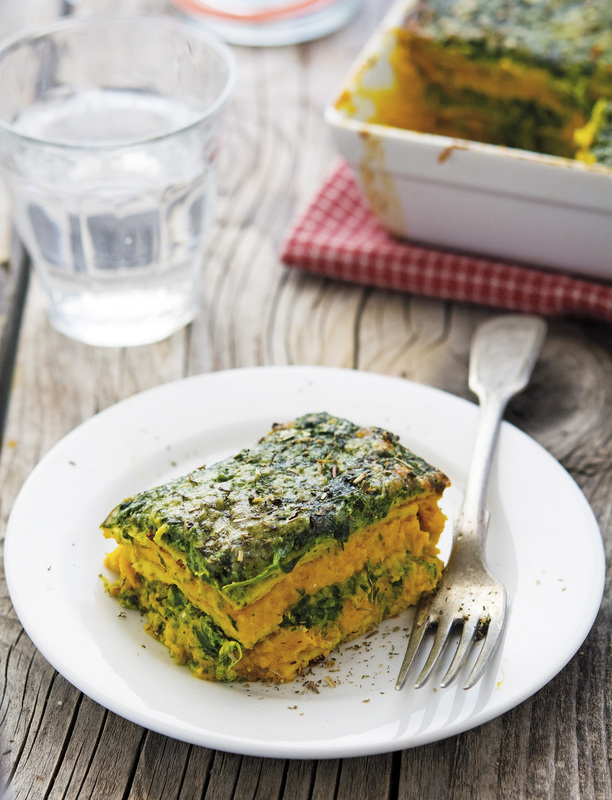 You can definitely find the time to workout, cook this lasagna and polish it off! Butternut Squash and Spinach Lasagna with Cauliflower Noodles Print this recipe! Though I used cauliflower noodles, feel free to use the noodles you prefer, including refined-carb-gluten-loaded pasta noodles — just don’t ask me to condone your choice, ha! Combine all ingredients in a food processor and pulse until smooth and creamy. Set aside. Melt the butter in a large skillet over medium heat. Add the garlic and thyme and sauté for 2 minutes, until fragrant. Add the spinach and sauté until just barely wilted, about 2 minutes. Remove from heat. In a large bowl, combine the ricotta, egg, salt, and nutmeg. Add the spinach and stir to combine. Lightly grease a baking dish (I used a 11x8.5-inch dish) with butter or olive oil. Spread a couple of tablespoons of butternut squash mixture at the bottom of the baking dish. Arrange noodles side by side, covering the bottom of the baking dish. Spread ½ of the butternut squash mixture and sprinkle 2 tablespoon of Parmesan cheese and 2 tablespoons of mozzarella cheese on top. Spread ½ of the spinach mixture and sprinkle 2 tablespoon of Parmesan cheese and 2 tablespoons of mozzarella cheese on top. 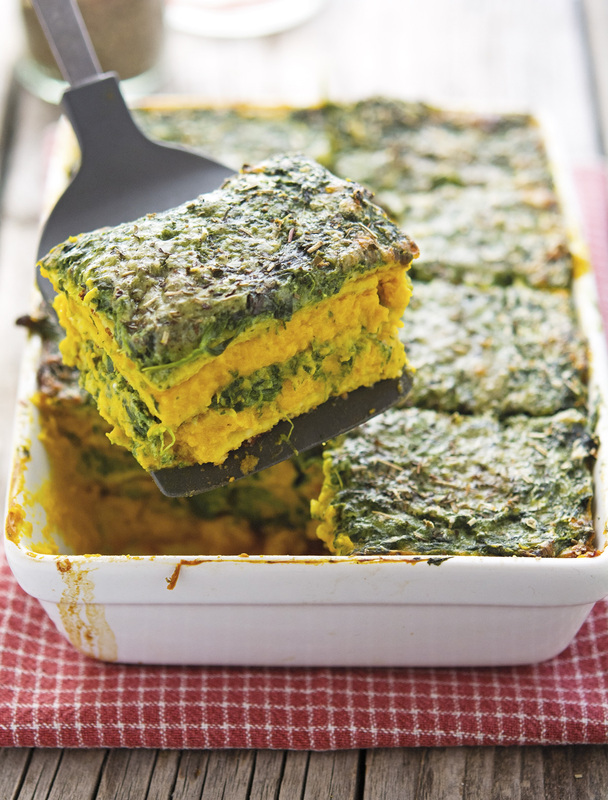 Repeat to make one further layer with the butternut squash mixture and ending with the spinach layer and cheese. Sprinkle Italian seasoning over the cheese and cover with foil (to prevent sticking either spray foil with cooking spray or make sure that foil does not touch the cheese). Bake in the oven for 30 minutes. Remove the foil and bake uncovered for an additional 10 minutes. Let stand 10 minutes before serving so that the noodles can soak up some of the moisture. One serving yields 271 calories, 18 grams of fat, 12 grams of carbs, and 17 grams of protein. Perfect timing Mike, I was just dreaming about a butternut squash lasagna! This sounds awesome. Wow Mike - what a fantastic lasagna! 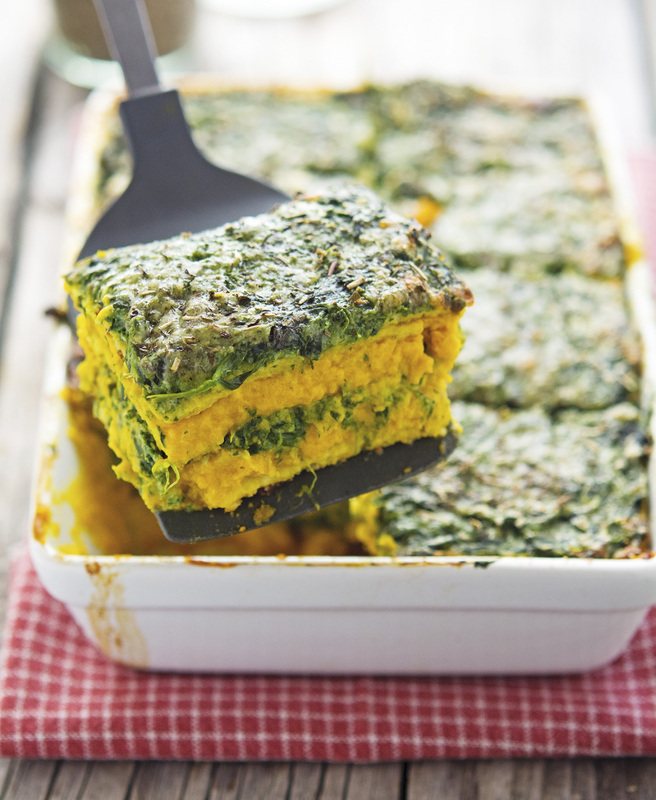 I am a huge butternut squash fan - but haven't ever had it mixed up with ricotta and layered in a lasagna - fantastic recipe my friend! Happy Friday! This is the perfect recipe for the season! And since I'm craving for vegetarian comfort food right now, I especially love it! That looks like the thickest, tastiest, most comforting lasagna ever! Yummm. I need to use butternut squash more often. Only 271 calories ohhh I love you this recipe is so delicious!I will try it on Sunday for my friends! oh my, this looks fabulous! Oh my goodness. What a delicious stuff you've got here, Mike! And there's a great news. Now I can easily distinguish between your and other blogger's pictures even not knowing the name. I mean, all meals featuring the words "lasagna", "noodles", "spinach","broccoli" in one name, are likely your recipes! Haha just kid. But your photographs have a unique style; that's true. Awesome job as usual! 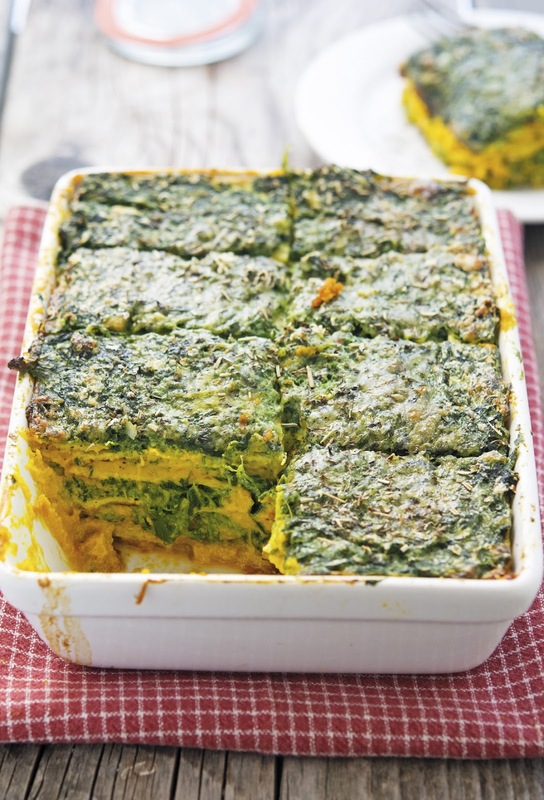 I have been on a butternut kick as well and I MUST add this lasagna to my list! This looks seriously delicious, Mike! Loving the cauliflower noodles, the spinach and all that cheesy goodness! Keeper! Pinned! Cheers! It looks fantastic, I love butternut squash and I have to try your cauliflower noodles very soon.